On June 5, l992, World Environment Day, at the Earth Summit in Rio de Janeiro, the Government of Finland announced that its Ministry of the Environment and the United Nations Environment Program would sponsor Tree Mountain-A Living Time Capsule, as Finland's contribution to help alleviate the world's environmental stress. To be carried out in the Ylöjärvi Municipality, the plan is innovative nationally and worldwide. This is the first time in the world, when an artist restores environmental damage with environmental art planned for this and future generations—an artwork that is global in scale, international in scope and unsurpassed in duration. 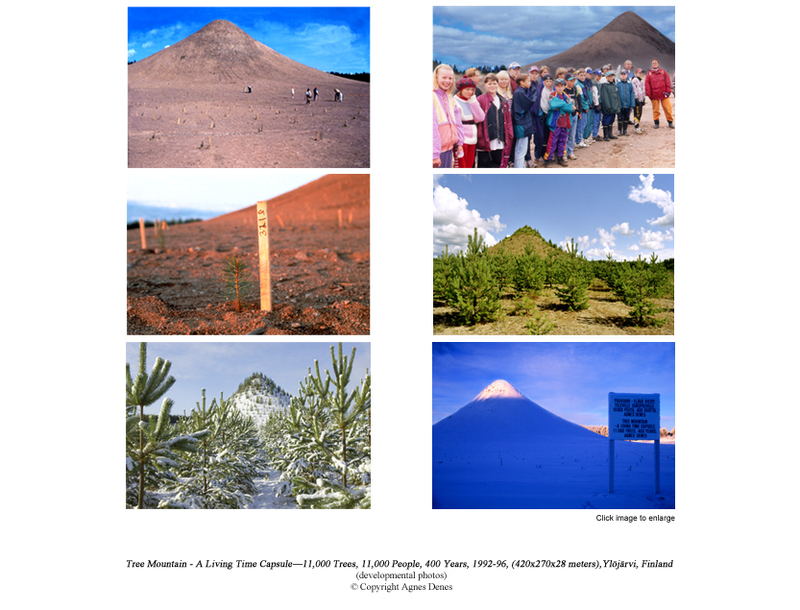 Tree Mountain is being realized in full scale at the Pinziö gravel pits, Ylöjärvi, Finland, 1992 - l996.